Gone are the days when simply having a website was enough. In the days of inbound marketing and search engine optimization, your business website is edging to the center of all of your internet marketing efforts, becoming the pulse that drives all other channels. That, in turn, leads to one conclusion: the importance of website analytics. In its most generic form, website analytics means studying the impact that users have and make on your website. In other words, it’s an effort to find out just how many users your site attracts, and how they behave once they get there. The more you know about your audience, the better: what pages do they like to visit? How do they use the navigation, and how long does it take them to leave or "bounce"? Answering these and many more questions enables you to optimize your website specifically to improve user experience, and in turn improve all of your digital marketing efforts. Of course, a first look at popular web analytics tools like Google Analytics often leads to data overload. There’s simply too much to see, too much data collected, to understand it all. Understanding what data is most important to you, and focusing on that data, becomes absolutely crucial. If you’re a content-heavy website, you’ll be interested in seeing how many visit your content-centric pages (like your blog) get, and how much time your users spend on those pages. As an inbound marketer, you’ll be interested how many users click on your calls to action, and how many of those convert to leads. A customer service-oriented website may focus on the "contact us" pages, checking how many visitors follow through on their attempts to contact the company. All websites are interested in bounce rate, the amount of users jumping off your site after looking at just once page. But even when you find the right data to analyze, it’s worth little until you learn how to draw the right conclusions. 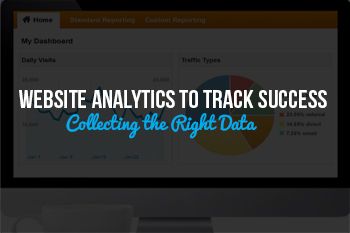 Remember that "website Analytics" focuses not on gathering data, but analyzing and understanding that data. If you have a high bounce rate on a page, it’s imperative to find out why. Does that page not offer natural "next steps" to click on? Is the navigation difficult to find or even hidden? Is the content simply not relevant? Analyzing user behavior and drawing conclusions is the only way to improve your website’s performance. And if you’re data-averse, we completely understand! 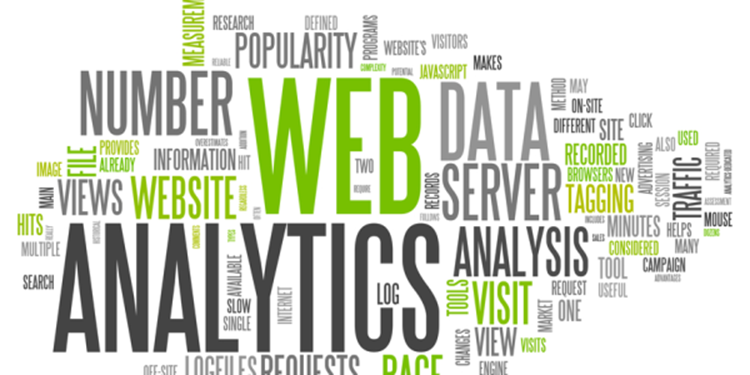 Contact us and we’ll be glad to make sure your website analytics are a full success.